(Trent Nelson | The Salt Lake Tribune) Utah Jazz head coach Quin Snyder as the Utah Jazz host the San Antonio Spurs, NBA basketball in Salt Lake City on Saturday Feb. 9, 2019. All-Star weekend is a symbolic midway point of the season if not a literal one, coming, as it does, for the Jazz, after 57 games of their 82-game schedule. Nevertheless, like a months-long extension of the winter holiday season, it inevitably brings about moments of self-reflection: Where are we now? And where are we going? To revert to the literal once more, Utah’s record of 32 wins against 25 losses places the team in sixth place among a stacked field of talented Western Conference teams. Contextually, though, what does that count for? Comparisons to last season’s Jazz team have been practically inevitable from the outset, considering the return of 13 players to the roster was followed by another difficult start and a subsequent resurgence. 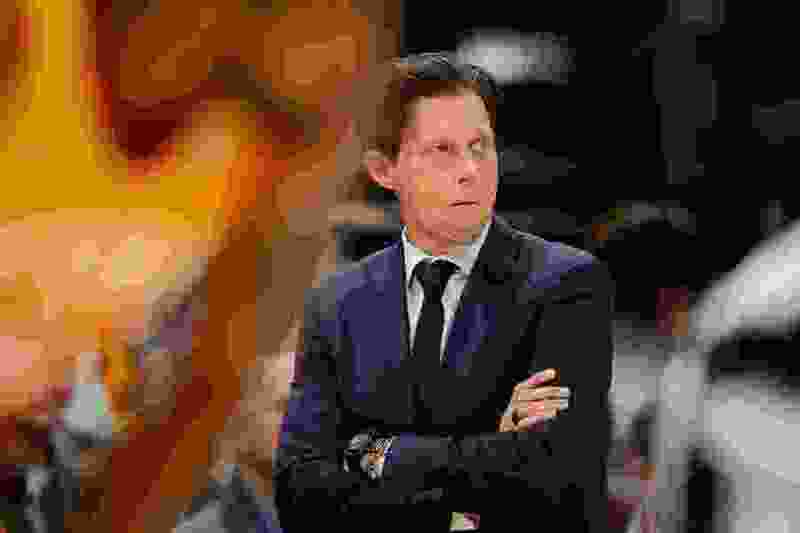 Coach Quin Snyder, however, is seeking to terminate, once and for all, any lingering notion that this group is anything other than a wholly unique entity still endeavoring to chart its own course and discover its own destiny. His players very much agree with those latter sentiments — that, with 25 regular-season games to go, the team remains a work in progress, but also that said progress does, in their estimation, seem to be trending upward. • With their All-Star break under way, the Jazz have a 32-25 record, which places them sixth in the Western Conference. • Utah is projected to win 49 games this season, which would require a 17-8 finish down the stretch. • The Jazz’s remaining 25 games include 13 at home and 12 on the road; only eight are against teams presently at or above .500 this season. Forward Jae Crowder noted that, with the way the season started, it might have been easy to assume it all might take on a familiar shape, but with the players’ commitment to not staying static, that was never going to happen. Much of that incline stems from continuing to improve both at the things the Jazz are known to do well, and in areas which have previously proven problematic. With the latter, star guard Donovan Mitchell cited the need to focus on reducing preventable turnovers, taking better care of the ball, and maintaining a high degree of urgency throughout entire games — all issues he said were costly in Tuesday’s loss in Oakland. Indeed, those on the team asked about its remaining stretch run all insisted that the ability to believe — even this deep into the season — that they can continue to evolve both individually and collectively is a crucial component in determining Utah’s success. In short, there are surprises yet to be unleashed, potential yet to be unlocked. They’ve already proven, in three games against the Warriors this season, that they have the capacity to compete. They know they must do more to take that next step, though. Bringing it all full circle, Snyder was asked if there was a balance to be struck between separating this team from last year’s group, while retaining the knowledge that last year’s ignoble start and brilliant recovery have proven that there is a next gear ingrained in the team’s very DNA. The coach conceded there was merit to the notion, while cautioning against drawing too many conclusions from it. Yes, this team has the benefit of the knowledge gleaned from its past experiences, but, in the end, it must also forge its own new identity. And only time will tell if that is actually enough.